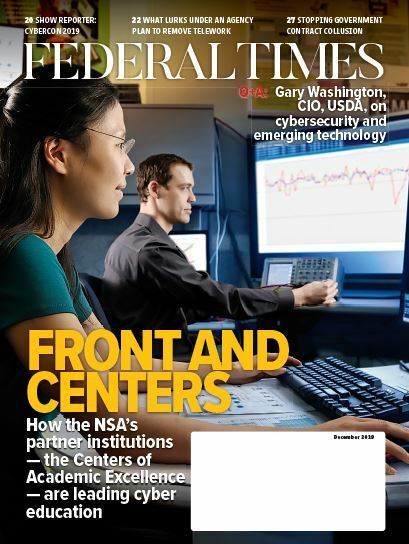 Reducing the number of data centers owned and operated by federal agencies while optimizing the data centers that remain has long been an objective for the federal government. The shift has been outlined in legislation and Office of Management and Budget guidance. And while agencies have made progress in closing and improving their data centers, many have failed to establish plans for how they will meet OMB’s metrics for success, according to an April 11 report from the Government Accountability Office. Federal agencies were supposed to close a quarter of their tiered data centers and over half of their non-tiered data centers by the end of fiscal year 2018 for a cost savings of “at least $2.7 billion.” But GAO found that only some agencies met or had plans to meet those goals. According to the report, six agencies reported that they did not plan to meet the OMB goal for tiered data centers and nine said that they did not plan to meet the goal for non-tiered data centers. “Officials from the 11 agencies that did not plan to meet one or both of their closure goals provided various reasons for why they had not planned to do so. For example, several agencies indicated that they were seeking revised closure goals because they viewed their goals as unattainable,” the report said. Focus on federal data center consolidation began in 2010 with OMB’s release of the Federal Data Center Consolidation Initiative in 2010 and was later superseded by the Data Center Optimization Initiative in 2016. Congress also encouraged the closure of federal data centers with the Federal Information Technology Acquisition Reform Act’s passage in late 2014. 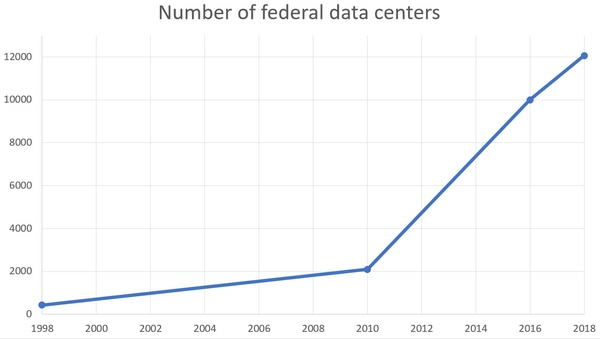 The number of federal data centers on record at the impacted agencies skyrocketed during that time, going from less than 500 in 1998 to over 12,000 by the end of 2018. Part of the increase stems from a revised definition of what constitutes a data center, which expanded in 2012 to include technologies like server closets and other small data storage systems. “In 2011, the Federal CIO expanded the definition to include a facility of any size and OMB published its revised definition in March 2012. Based on the revised definition, OMB estimated that there were a total of 3,133 federal data centers in December 2011,” the report said. Agencies also frequently found such smaller data centers that had gone largely undocumented until DCOI and FITARA initiatives uncovered them. According to the report, agencies have already closed 6,250 of those reported data centers, with another 1,200 slated for closure by 2023. Cost savings for those closures and consolidations totaled $2.36 billion for fiscal years 2016 through 2018, which fell $0.38 billion short of the original cost saving goals under DCOI. Agencies will have more time to pursue their data center consolidation and optimization goals, with the reauthorization of FITARA that extended the end date from 2018 to 2020, but OMB should do more to maintain oversight of agencies’ data center metrics and cost savings plans, according to the report. GAO made 36 recommendations for agencies to meet the data center optimization and consolidation goals set by OMB, with eleven agencies agreeing, three partially agreeing, one disagreeing and seven neither agreeing nor disagreeing with the recommendations.